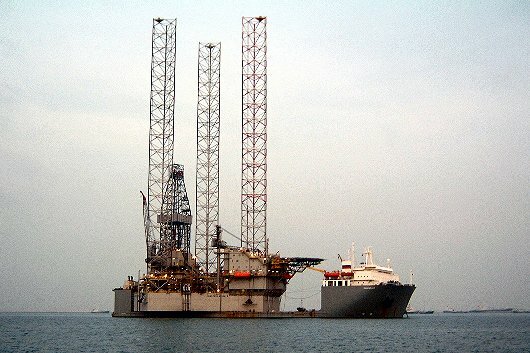 The GlobalSantaFe jack-up rig CONSTELLATION I needed to be moved from its construction yard in Singapore to Trinidad. Because of the long legs (167 m), the dry transport option was selected with its inherent higher transit speed and reduced motions in seaways. Since this would be the first time a Friede & Goldman JU 2000 class rig was dry transported and the stability after loading was marginal, it was considered prudent to have a qualified naval architect on site in case the actual numbers would show a significant deviation from the theoretical numbers. 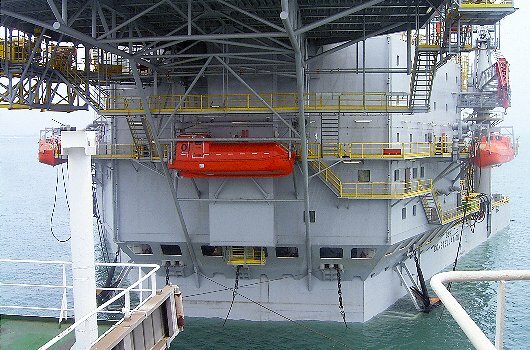 On March 22, 2004, the rig was towed to and accurately positioned over the submersed heavy-lift ship TRANSSHELF. The ship slowly deballasted, and with a controlled small trim and list, the 19,000 t heavy CONSTELLATION I was slowly lifted out of the water. 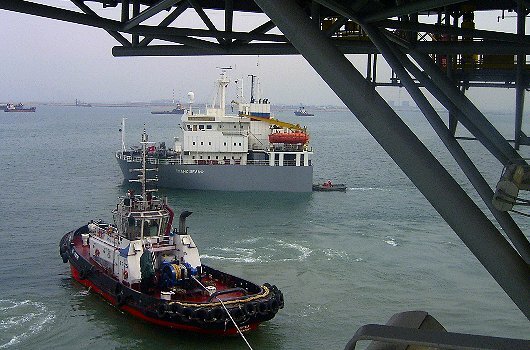 The final sailing condition showed adequate stability and after seafastening of the rig, the ship departed. Standing by on-site during the actual load-out of the rig.